The People’s Republic of China is back at work trying to stop its citizens from playing poker, though the latest news of poker-app bans from the populous Asian country bears far more resemblance to traditional nationwide bans and blacklists than one might think. In the last few days, China has announced another round of poker-app bans, this time targeting eight or so smart-device apps such as Poker King and Poker Tribe. The difference, this time, is that all these apps are the user-side programs for online poker sites located outside China, such as in the Philippines, India, Vietnam or elsewhere. And what China in recent days amounts to an app-based blacklisting. 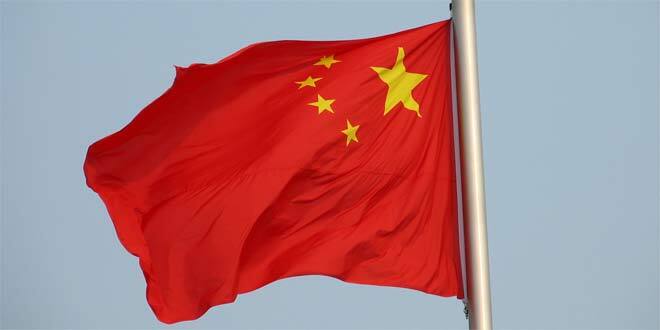 News of the latest round of Chinese poker-targeting bans first appeared about a week ago, the latest of a long series of government-authorized exposes on China Central Television (CCTV). The expose, which named sites Poker King, Poker Horde, Poker Tribe and others, included several tales of addicted poker players who had lost thousands of dollars on the illegal (in China) international sites. One of the first re-reports of the tale soon appeared on JQKNews, while the South China Morning Post, a more widely known outlet that follows news of China-related gambling matters, offered its own take just a few hours later. 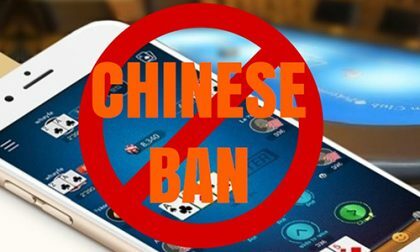 The solution being imposed by China is the banning of all identified poker apps, just as programs from Chinese gaming giants Tencent, Our Game, and Boyaa were targeted in a major crackdown earlier this year. That crackdown also attempted to eradicate the growing underground poker scene in China, in which poker players purchased virtual coins on the China-based games that served as proxies for large amounts of real money being exchanged in underground circles, or clubs. This latest round of app bans is rather different: It is instead, a simple blacklisting of this latest handful of apps which connect to sites in other countries. All these sites were being accessed by players in China who were funding their bankrolls through more traditional deposit channels, including Bitcoin and other cryptocurrencies. It’s the Chinese players themselves who are likely to get the short end of the deal here, as this round of bans is somewhat more akin to the US’s “Black Friday” in 2011. Well, sort of, that is: the sites themselves aren’t affected except for the interruption of China-based traffic, and one suspects that the more tech-savvy Chinese players will find a way to use international VPNs to continue playing, just as has happened in the United States, Australia and elsewhere. One factor spicing up this ongoing battle is that Asian gamblers are more likely on the whole to gamble via their smart devices than through more traditional computing system. China was readily able to stop Chinese-based gaming companies from offering poker-themed apps to its citizens, but to the surprise of few, wasn’t really able to stop the poker or the real-money gambling. Now it’s on to a more traditional game of whack-a-mole, which, despite the impressive totalitarianism of the Great Firewall of China, still has plenty of leaks. China’s likely to be chasing the game on this one for quite a long time, no matter how many hundreds or thousands of poker players the country arrests.